RS Kit includes: SC kit with the Bilstein 5160 Remote Reservoir Shocks instead of 5100 Series. 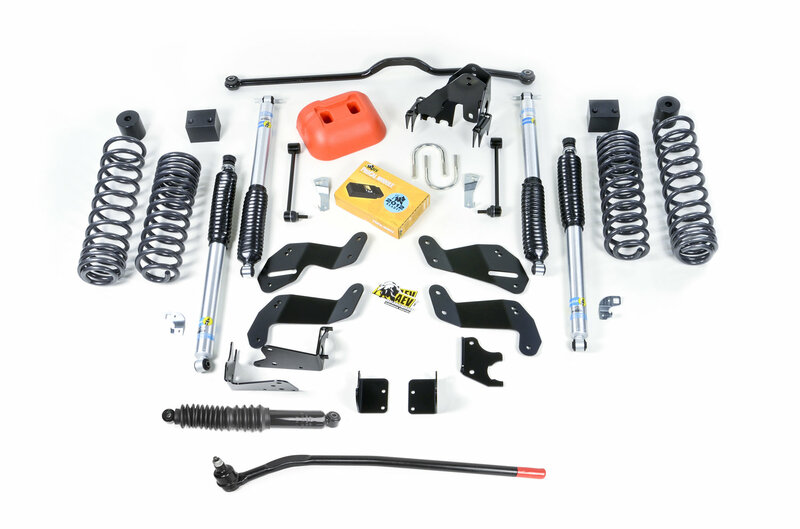 SC Kit includes: ST kit plus roll-center adjusted front steering kit, Steering Damper, AEV Jack Base (for use with stock scissor jack and tall tires) and the AEV ProCAL Module. ** AEV is proud to offer the single biggest improvement to our JK Suspension since it was released. 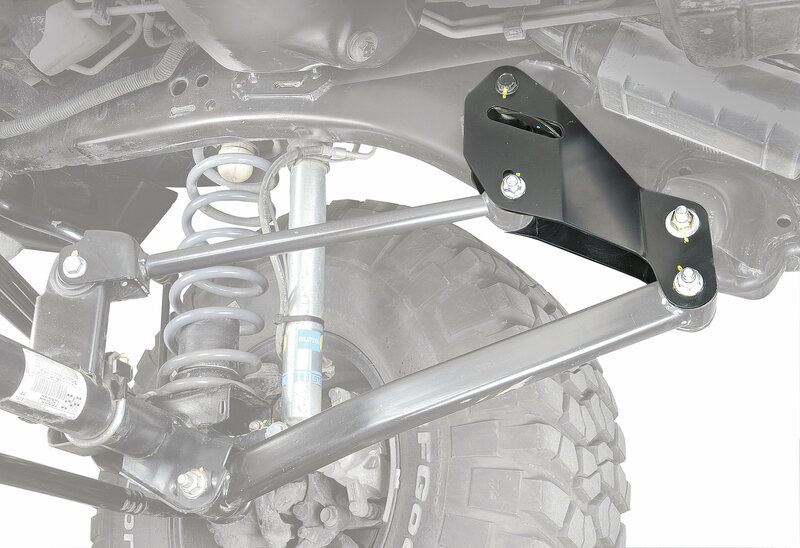 These new Front Control Arm Brackets are a win-win in terms of performance. 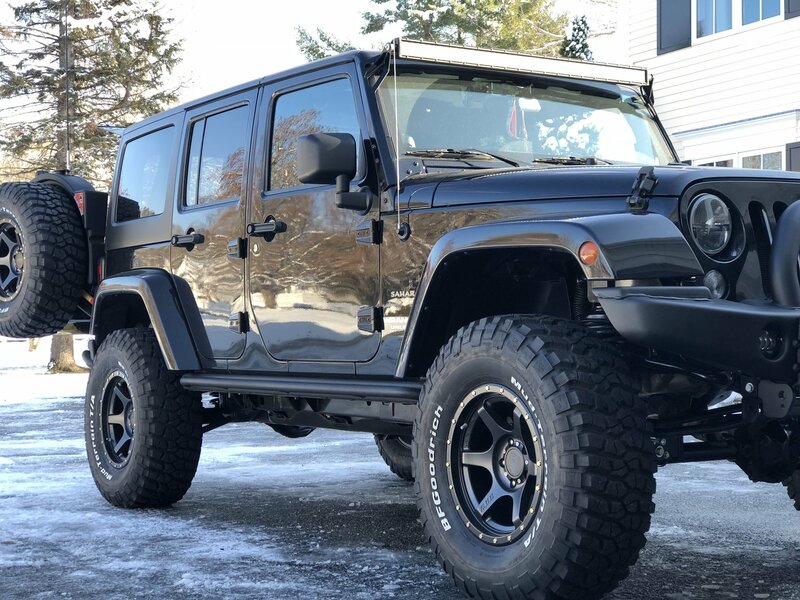 Summary: This kit gives all the usual benefits of a 3.5" lift, plus the added benefits of proper suspension design and geometry, and parts durability. Ride quality on road is similar to stock, (but better on large bumps), ride quality off-road is far superior to stock. It soaks up the large hits without bottoming. 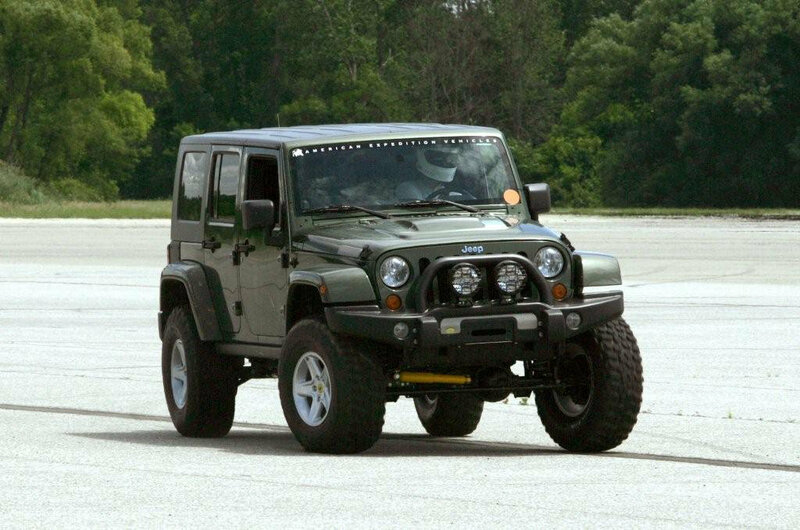 My Rubicon in stock condition would bottom the front suspension rather easily. Stability and handling are very good. Articulation is much better. Steady state freeway (65 mph) mileage went down 1 mpg. More detail: I have a lot of suspension knowledge from previous off-road vehicles and motorcycles. I studied suspension design and have revalved shocks and forks. Based on that experience I am very impressed with the spring and shock settings on the AEV kit. It made a world of difference in how the vehicle feels, particularly in the dirt. 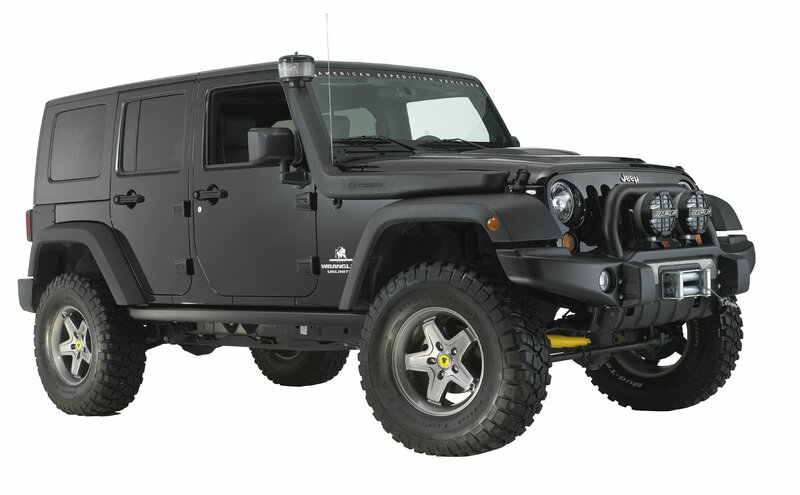 AEV is the only aftermarket modified Wrangler that can be ordered through Jeep dealerships. 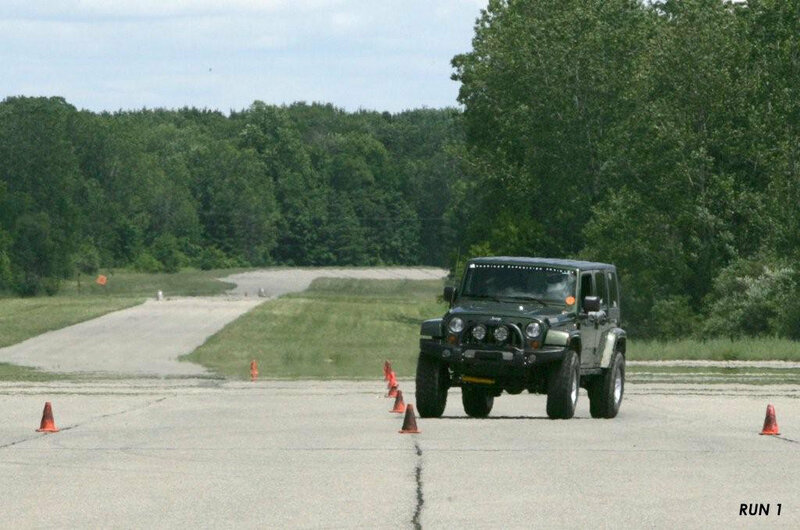 The design was tested at the Chrysler/Jeep proving grounds. The roll center and anti-dive characteristics were adjusted to work at this height safely. 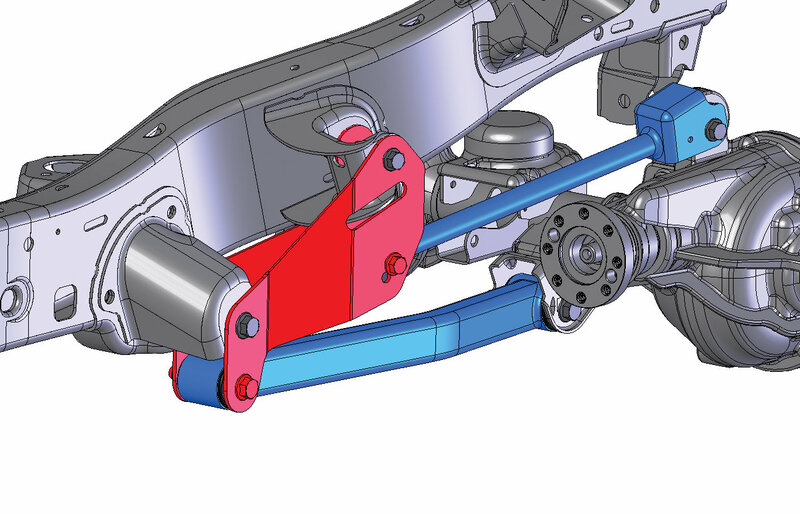 The front control arm drop brackets are necessary to keep proper geometry. Kits without the drop brackets use longer control arms instead, but they can't keep proper geometry that way. It becomes a compromise. The factory control arms/bushings are a plus for most users. They last longer than aftermarket bushings and are easily obtained if needed in the future. Most aftermarket kits use custom arms that are likely to be unavailable as spares in the future. If you don't keep vehicles for long and like flashy style, lift kits with custom control arms will work for you. If you want something that will last you 10+ years, AEV is a good choice. Installation is fairly straight forward. It took me 3 days working alone. 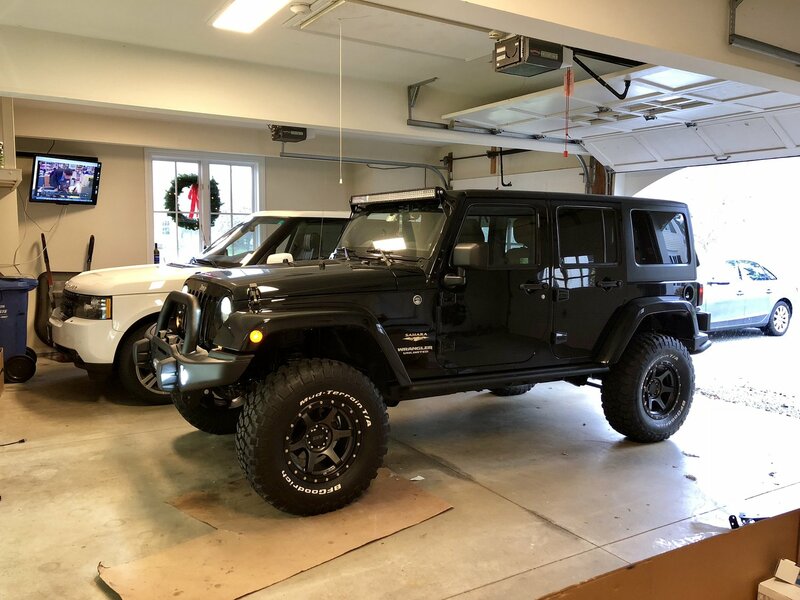 I put the Wrangler on 4 jack stands and did the rear, then the front. You will need to modify the exhaust crossover to clear the driveshaft. You will also need different wheels, or wheel spacers (Spydertrax) for the stock wheels, to provide the needed backspacing. 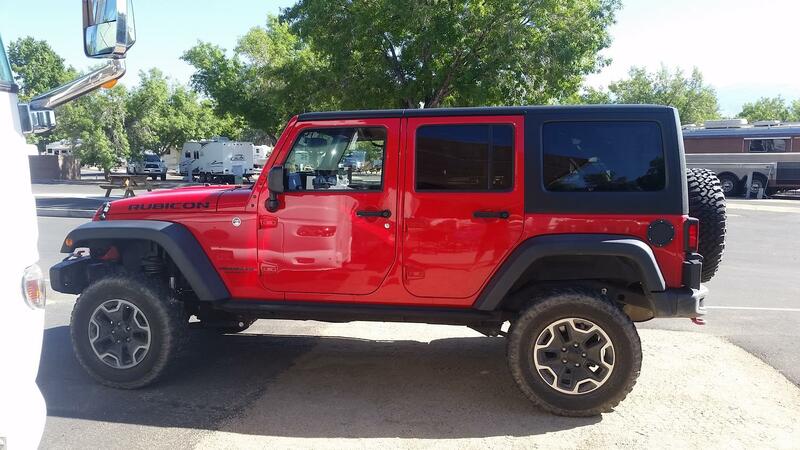 This kit is a substantial improvement to the appearance, performance, especially the ride quality of the jk. My sahara floated like a cadillac on the interstate and was very sloppy feeling this kit tightened it up and made it the jeep composed and comfortable. 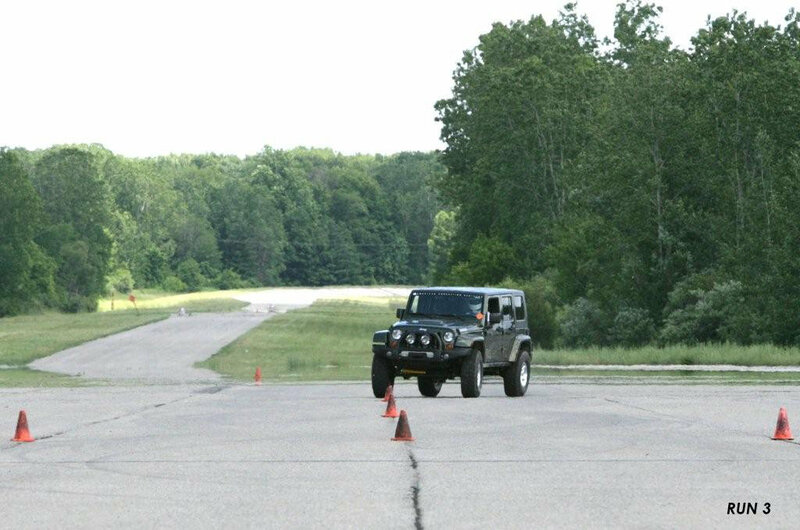 This kit is incredibly stable when cornering quickly, and I feel confident that in a high speed emergency situation the jeep will react appropriately. Great buy and worth the extra coin. Excellent instructions, easy install. Everything went according to plan! Many reviews talk about better than stock ride. This is not my experience, it is a little firmer but still quite tolerable. Will install 35s after I kill my stock tires. This kit comes with new rear end links. The factory rear sway bar end links are reused for the front. Do I need to modify the exaust system for a 3.5" lift? If you have a 3.6L engine exhaust spacers are recommended.